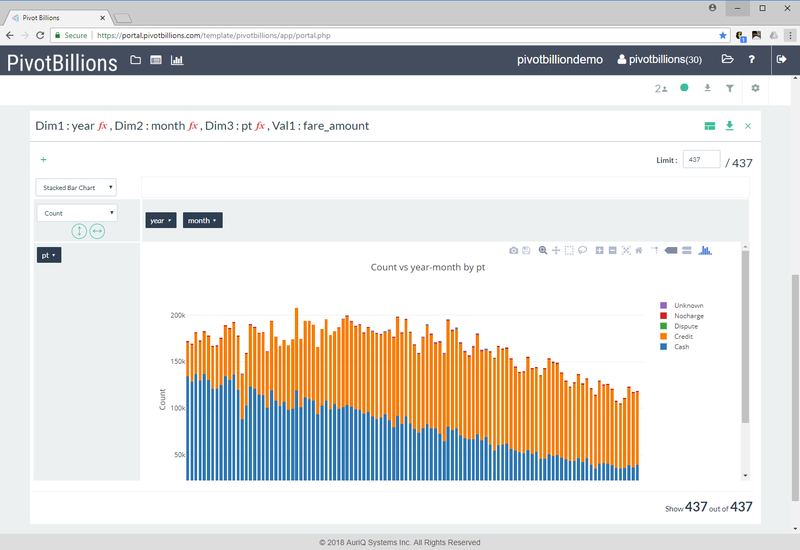 Sort, filter & analyze billions of records quickly. 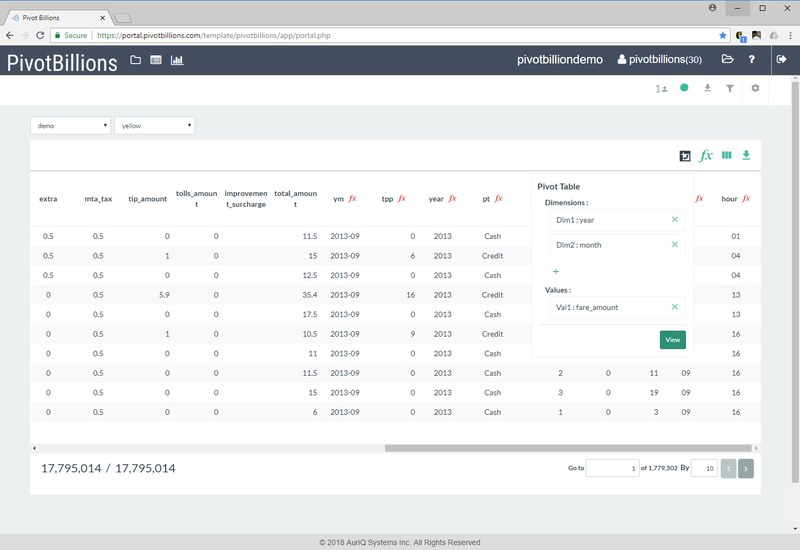 Pivot Billions is a powerful solution that allows any user to explore and analyze large datasets in real-time in a dynamic and familiar spreadsheet-like interface. 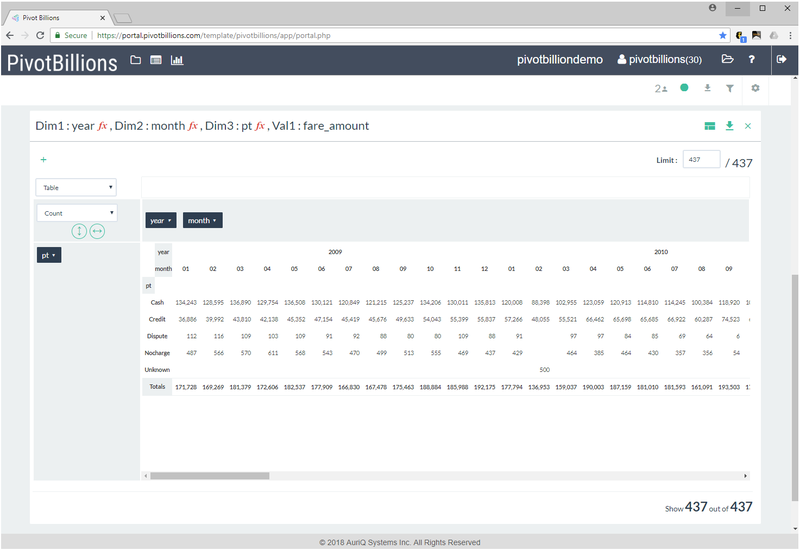 Pivot Billions is powered by Essentia, AuriQ’s enterprise-class agile data analysis and business intelligence platform. It is a SaaS based solution that is highly cost effective and highly scalable for any size data analysis need. 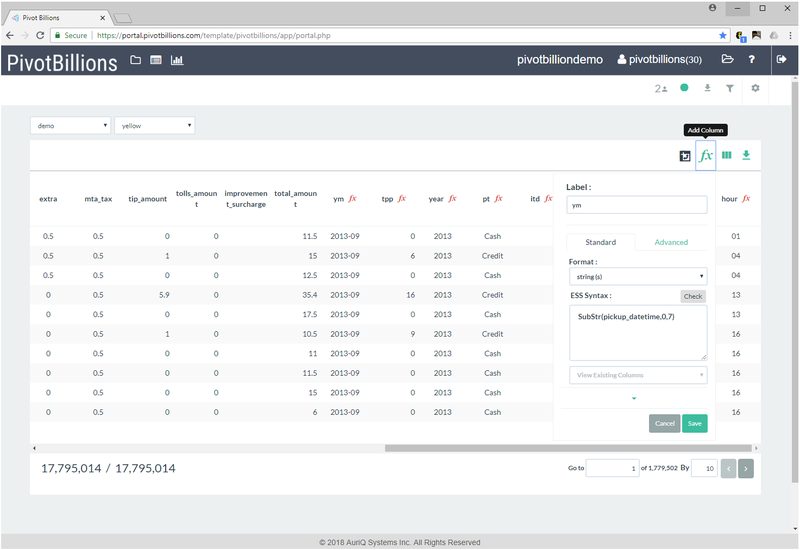 An intuitive spreadsheet-like interface makes it easy to get up and running immediately, with no coding, no SQL, and no steep learning curve. Fast sorting, filtering and pivoting of data from millions to billions of rows can be done in mere seconds. 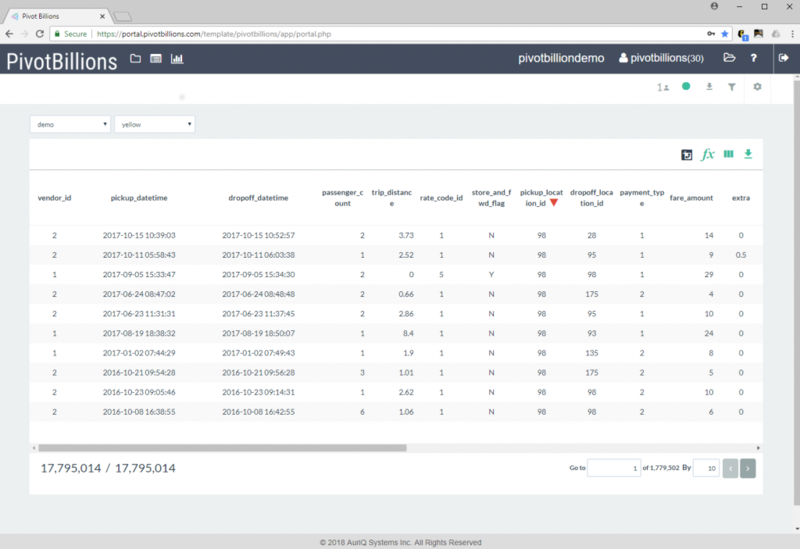 Transform, calculate, and analyze derived data on the fly in real-time. Pivot tables make analysis easy with drag and drop functionality. Add data dimensions to rows and columns, set value dimensions and execute to view the resulting aggregations. Although tables are very informative, they can be limited in communicating the valuable insights in the data. 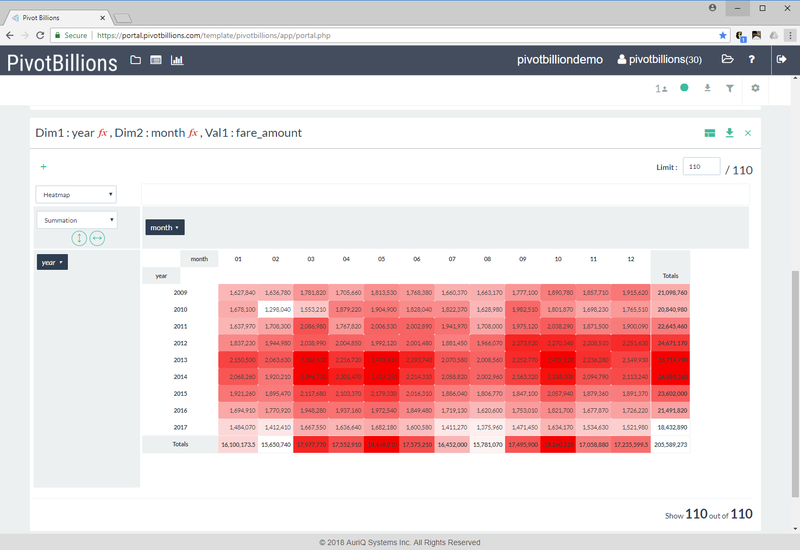 Pivot Billions includes a variety of visualization options to get better insights from your data, including bar charts, heat maps, scatter charts, etc. 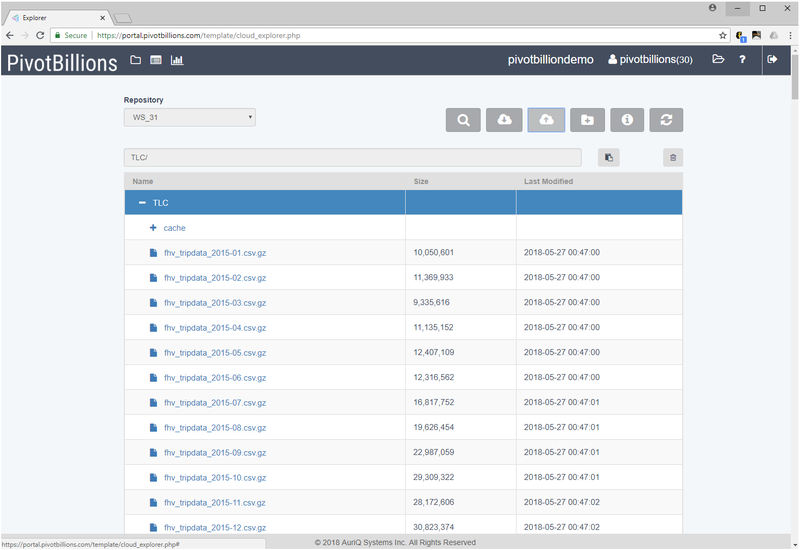 Pivot Billions Explorer lets you upload the data you want to analyze into an AWS S3 repository. Amazon S3 is used to provide scalability, redundancy, security and reliability. Organize you data into user-defined categories. Categories lets Pivot Billions know which columns from which data sets should be added for analysis. Data in your defined categories become Pivot Billion tables. You can then select a data table and interact with it similar to a spreadsheet. Quickly sort and filter data columns. Add functions to create new data columns from existing columns. Generate pivot table by selecting the dimensions from the data tables. 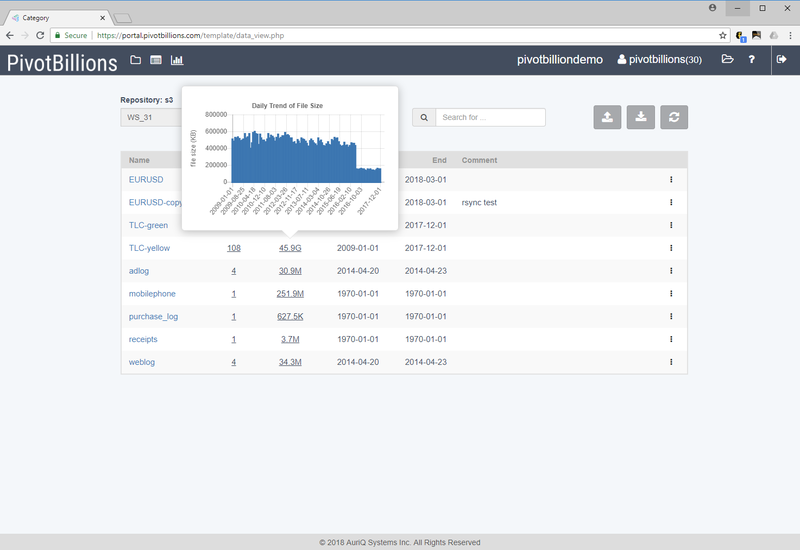 Try Pivot Billions for Free! 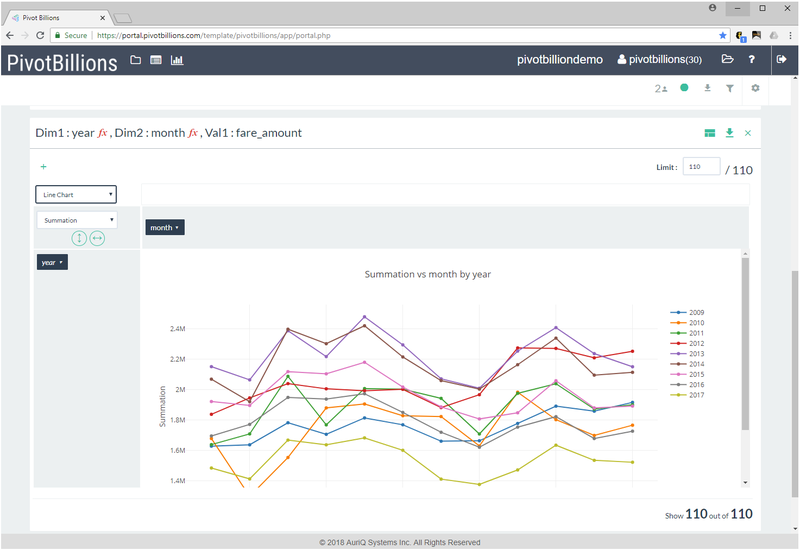 Request you free trial and gain the real-time insights you need.